On March 23, 1847 there was a group of 48 Christians whose strong opposition to slavery set them apart in their church missions. 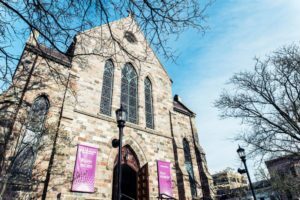 Believing that God created all equally and that all are seekers and not holders of truth, they founded The First Congregational Church of Ann Arbor. Following their legacy, our mission is to be a beacon of God’s love, hope and Christian freedom. Click here to read FCC’s December 11, 2016 Resolution Reaffirming Our Commitment to Inclusion. Click here to read FCC’s Mission Vision and Core Values. Click here to read FCC’s What is Congregationalism.